California Highway Patrol officers arrested a 27-year-old Visalia man with a penchant for DUIs after finding his girlfriend covered in blood on Highway 101 near Templeton on Tuesday evening. 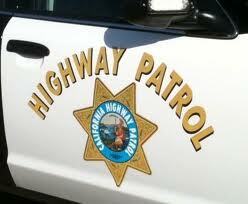 At about 9:19 p.m., the CHP received a report that a bloodied woman was running in the northbound traffic lanes on Highway 101 south of Main Street. Officers arrived at the scene and found a 25-year-old woman on the right shoulder accompanied by a witness. The woman’s boyfriend, Jesse Medina Cordova, allegedly assaulted the victim while they were traveling northbound on Highway 101 from Pismo Beach, according to the CHP. After locating the victim, officers found Cordova hiding behind trees on Ramada Drive just north of Main Street. Officers detained and questioned Cordova and later arrested him for corporal injury to a spouse, battery causing serious bodily injury and DUI. Cordova is also charged with failing to appear and for having three or more DUI convictions within 10 years, according to the sheriff’s website. Cordova remains in custody at the San Luis Obispo County Jail with his bail set at $75,000. A drunk and a coward. The people he will be fighting in jail won’t be women. I hope he takes as many beatings as he has dished out.